Enjoy Life Food Valentines Day Giveaway! 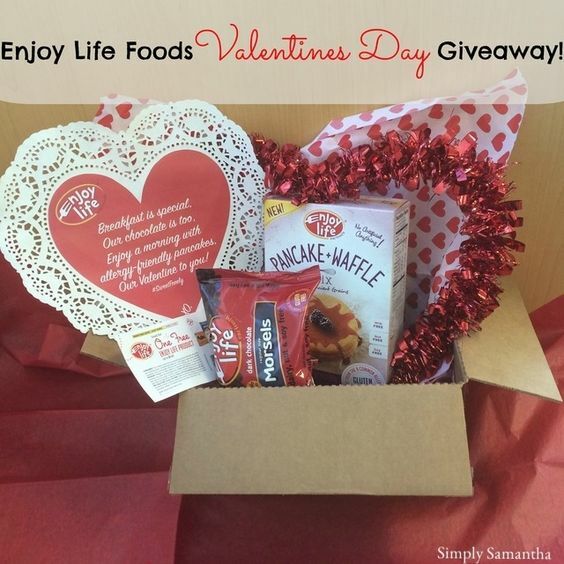 To help celebrate Enjoy Life Foods wants to give one of my lucky readers a chance to win a Valentine’s Day Sweet Freely Box, stocked with Enjoy Life Foods Pancake and Waffle Mix, Dark Chocolate Morsels, a FREE product coupon and a heart-shaped pancake stencil! Doesn't that all look so good! I see some chocolate chip pancakes in my future! Giveaway is over and winner has been contacted! Thanks for entering! Thank you Samantha for having this giveaway! I love your posts on healthy living and better food options. Plus the your dog is so cute and you two are the cutest couple ever! I love waffles with whipped cream and berries on them. My favorite treat is homemade Sunbutter cups! My 4 year old devours them! I like to make crepes. Everyone in my family likes different fillings. Some like fruit, others jams, and of course chocolate and whip cream.